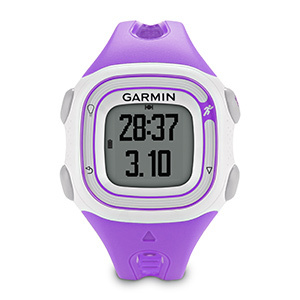 Last weekend, I ran with my Garmin watch for the first time since September 2013. Well, and the last time I ran “with” it, it wasn’t even on MY wrist. 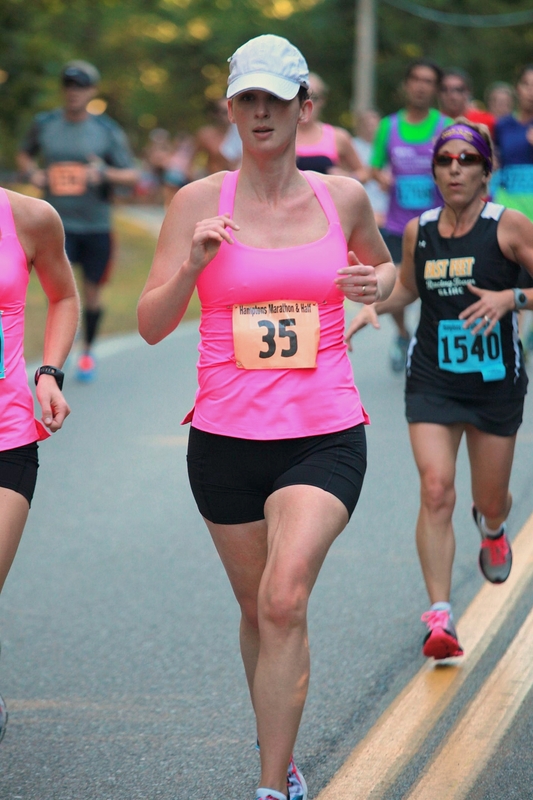 Birdie happily took the duty of watching my pace during the Hamptons Half Marathon, knowing I was 3 weeks pregnant and definitely not interested in pushing myself. That arm on the left? That’s Birdie’s arm and my watch. I felt like crap during that race. I felt like I was running in the sand (not my favorite place to run) at 12,000 ft. It was awful. Turns out, my slowest pace was 8:00/mile and everything else was sub-8:00. I only ran 3.5 minutes off my PR because I was in shape to run the marathon, but I had to FIGHT for every mile. I put my watch away after that and ran how I felt with my growing belly. 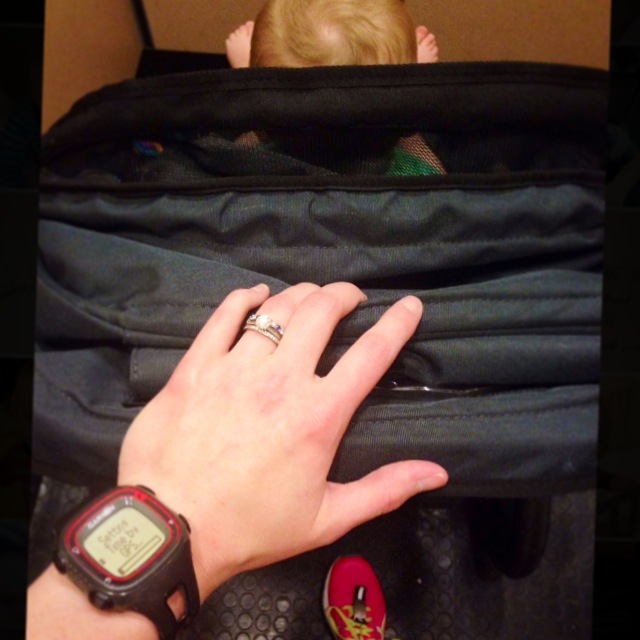 Which brings us to this week when I (literally) dusted off my Garmin for a run with my little running buddy. Bright shoes, happy baby, GO! So what the hell took me so long to put that stupid watch back on? Scared I wouldn’t like the numbers I saw. I asked Birdie on a run back in November what our pace was. She replied with a number that made me feel like crap. To be fair, we were going into a head wind, but I still wasn’t cruising. I was so scared to feel disappointed in myself that I wasn’t “back” to where I was pre-baby. In hind sight, it was a smart decision. In spite of being a total coward, not brining my Garmin has made this year’s runs feel casual and relaxing. 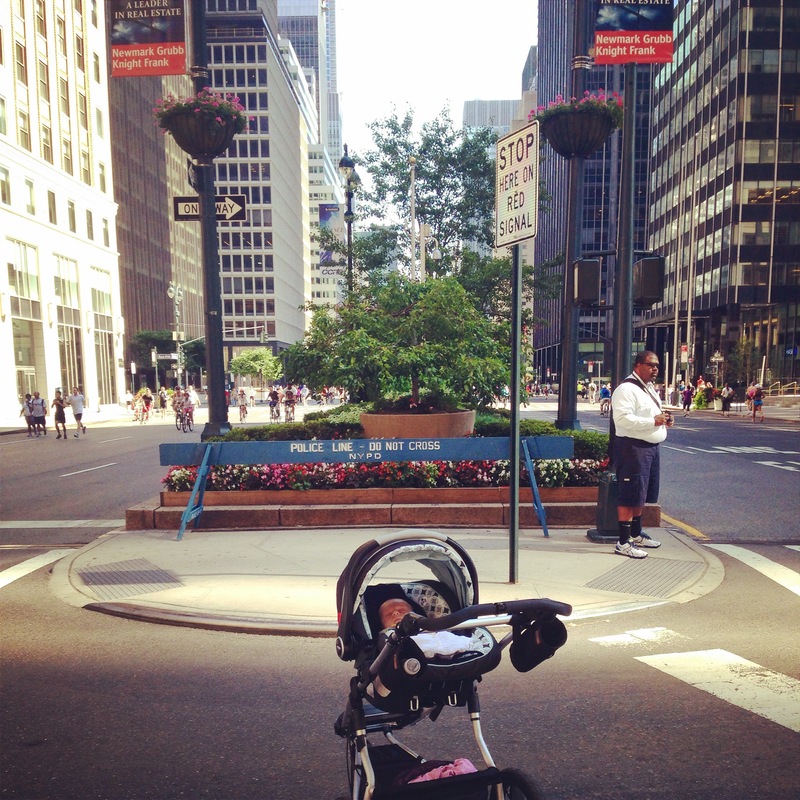 Summer Streets with a 2 month old? Sweet! Even though the numbers I’m clocking aren’t any great shakes, I’m slowly making my way back to paces I know are pretty good for me. I’ll probably leave the Garmin at home more often than not until I get into actual training mode for the Rock ‘n Roll Half in Brooklyn this October, and that’s ok. In spite of my cowardice being the reason I avoided my Garmin for almost 2 years, I feel like it was the right move for me. I just wish I had done it more by choice and less because of fear of disappointment and frustration. Oh, and happy birthday to the very best reason to leave my Garmin at home. At the end of a marathon, I am not running fast. 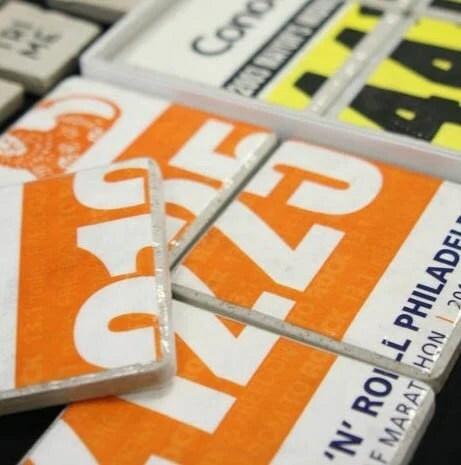 To be honest, the only marathon I think I finished “fast” (8:20s) was my worst marathon ever in Jersey where I walked/jogged from POJ to POJ from miles 13-20 because of my UC flare-up. I had lots of rest and pounded out those last six miles like they were nothing. Mile 25. Pretty sure I was the only person smiling as I ran past this photographer. Running fast is not necessarily running strong. I have fast runs that are the easiest runs of my life where I am cruising along and could go on forever. That’s not what it feels like to run strong. So what does it mean to Run Stronger Every Day? To me, it means that I run when I don’t feel like it. I run when it’s snowing outside (remember that day, Fat Bottom Slim?!) or 85°F with 97% humidity in August. I run when my legs feel like lead. I run when all I really want to be doing is eating homemade cookie dough. I run up the hard hills. I run harder when I think I’ve reached my limit. I run on the treadmill when my stomach won’t let me be more than 15 feet from the bathroom. I finish my runs when I really want to sit down on the curb and cry. I Run Stronger Every Day. No matter what, I run. I train. I lace up my shoes and give it my all for that day. I don’t compare my times with my times from 5 years ago. 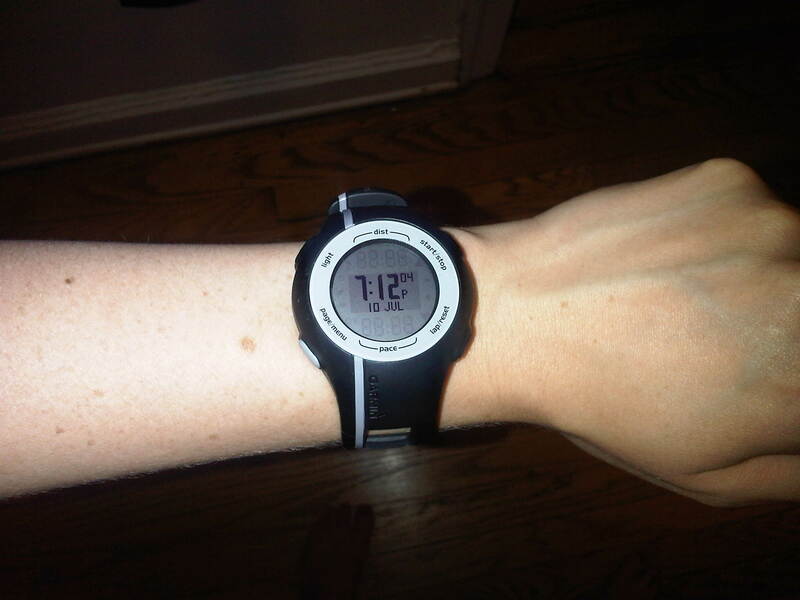 I don’t always wear my GPS watch to obsess about my splits. I run how I feel. 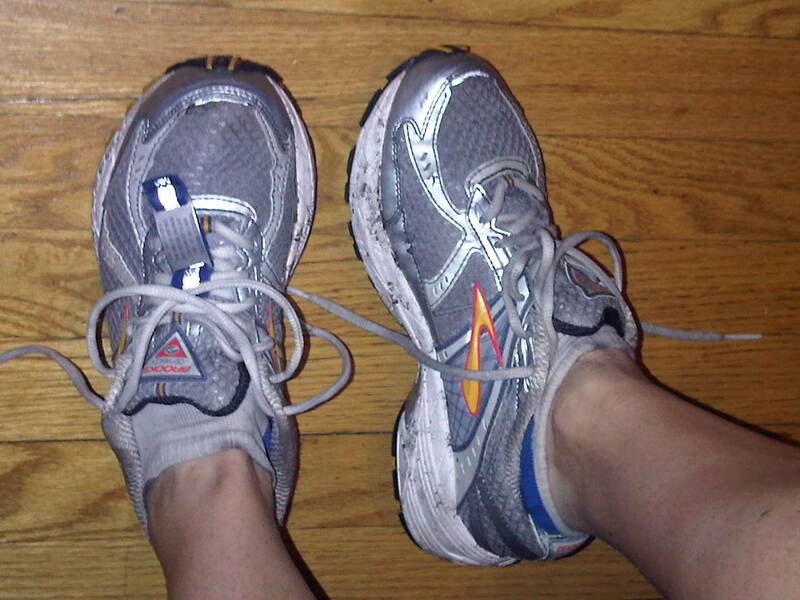 I love you but you are a sometimes running friend. No hard feelings? Running Stronger Every Day means that I take stock of how I feel that day, what my body will tolerate that day, what my limits are that day, how hard I can push that day, and I run. If it’s 2 miles before I go and lift, it’s 2 miles. If it’s 10 miles on the treadmill while I watch Bones, it’s 10 miles. If it’s 7 miles in Central Park, it’s 7 miles. If it’s nothing because my body just won’t allow it that day, then it’s a rest and recover day. But whatever it is, I make it my job to Run Stronger Every Day and live my life so that I CAN Run Stronger Every Day. In a few short weeks, I will be starting from a different place and really learning what it is to Run Stronger Every Day. I will be challenged like I’ve never been challenged before. I will have to listen, take it slowly, start from scratch and re-learn what my body can do. I will be the comeback story of my lifetime. And everything I do will be in an effort to Run Stronger Every Day. Yes! I Run Strong! And am a very sweaty beast. But I Run Strong! How do you Run Stronger Every Day? What does it mean to YOU? I want to know. Yesterday was all about the lady athletes. Today is all about the male athlete in your life. If your guy is anything like mine, he is impossible to shop for. If I hear, “I don’t really need anything” from him one more time, I might just put actual coal in his stocking just to prove my point that you have to give people ideas if you expect Christmas presents. I am not a mind-reader. Even Santa Claus gets a list. I am, however, pretty good at just guessing at cool things he might like. Here are a few that I’m considering. JB has said these are the best long-sleeved running shirts he’s every owned. He rarely wears more than this during the winter (well, until February) and wears them well into May. Oh, lululmeon, what would we do without you? If your man is a sweaty yogi, this towel is a must. 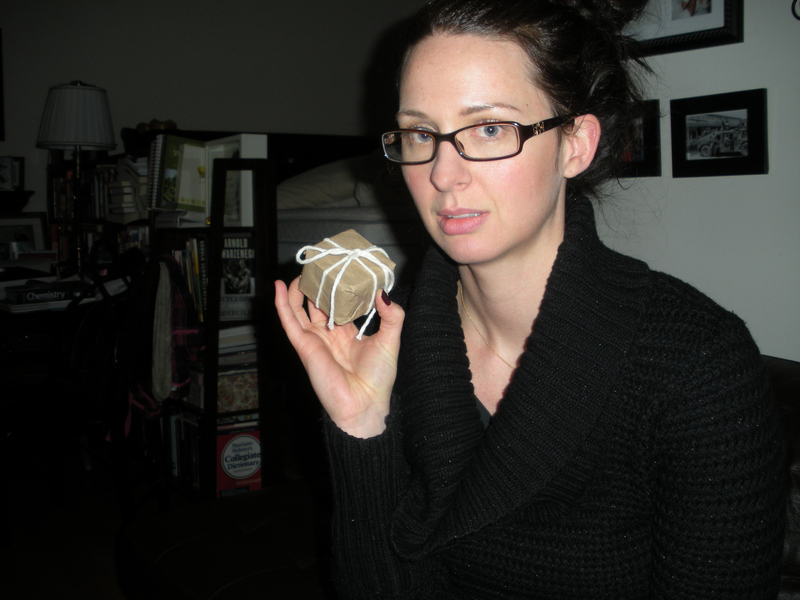 I’m a sweaty girl yogi and I cannot practice without it. My mat is like a Slip ‘n Slide otherwise. Awesome shades that look cool and are totally functional. If your man would like to get into trail running this winter, these are the perfect shoes for a neutral runner. My aunt bought these hats for us a few Christmases ago and we found them to be cozy and warm, even on the coldest NYC winter runs. 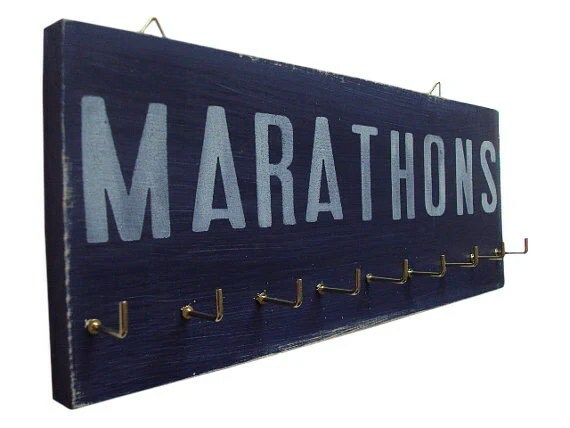 House decor isn’t usually top on the list for men I know, but we have this rack and it’s a cool way to display his (and your!) accomplishments. Does your man hate the gym? These workouts are awesome. I’m a fan. And they’re totally manly, too. 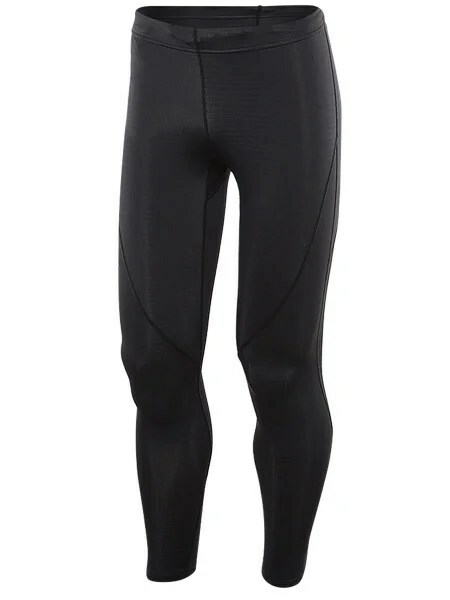 JB loves these running tights. Guys love gadgets. The iPod Shuffle is tiny and light–great for runners! No need to carry around your clunky iPhone or Blackberry on a run, these little gems are only $49! 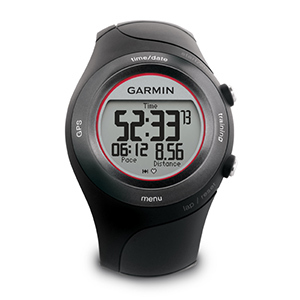 This Garmin does everything your man might need it to do and he can download all of his stats onto the computer to obsess about after each and every workout. Confession: I have not always loved running in the rain. In junior high and high school cross country, it meant slogging through seemingly endless miles of mud and yuck soaked to the bone in my cotton uniform to a finish line that looked like a brown Slip ‘n Slide only to ride home on a bus with a bunch of sweaty, dirty, smelly, filthy runners. Yuck. Bless the Obi-wans for coming out to those cross country races and standing in the rain to watch me trudge past them. It could not have been fun for them, either. Today is SO different. I love the rain. 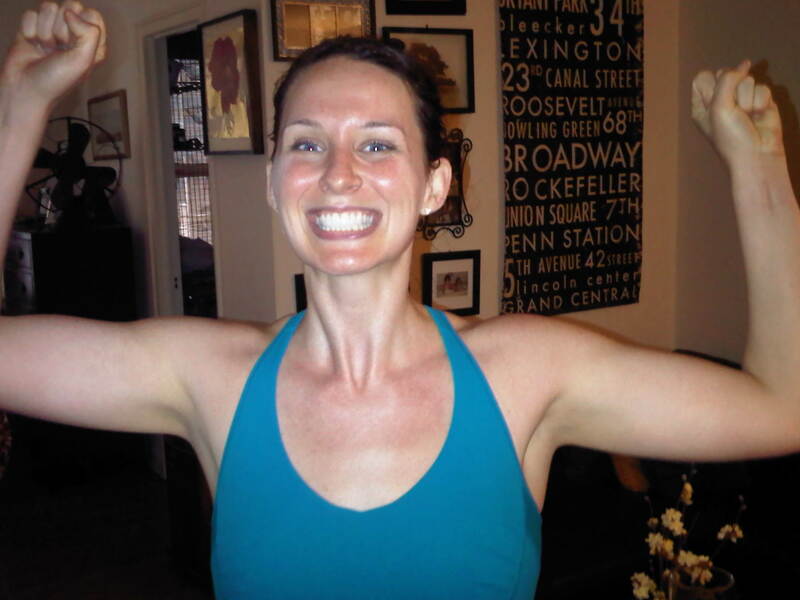 I ran one of my favorite 21 mile training runs in the rain all over Manhattan a couple of years ago. The park is quieter, the runners are nicer and there’s something more peaceful about a run in the rain than in any other weather. The other piece of the puzzle is my beloved gear. Thank heavens for lululemon!! I mean, good clothes really make running in inclimate weather not only possible, but enjoyable. But it’s not always roses and puppies out there. You have to be in the right mind-set and prepare yourself for a few key situations when heading out for a run in the rain. 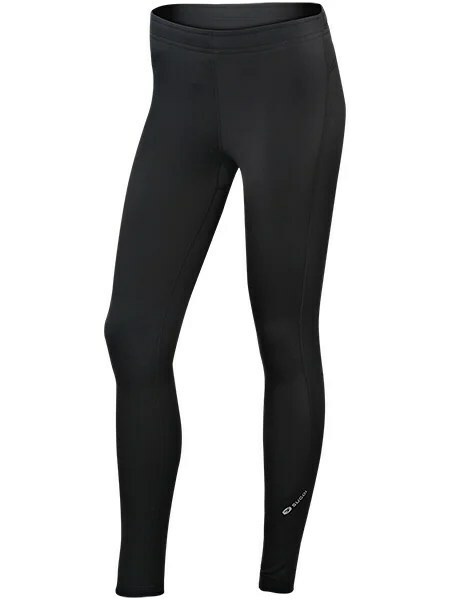 Here is a sure-fire way to have a great run in the rain, in my experience. #1. Leave your watch/Garmin/iPod at home. The rain (and likely, the wind) will probably slow you down a little. Plus, it’s better to keep your focus on the road/trail when it’s slick and only made more slippery by fallen leaves. Unplug and enjoy the scenery. 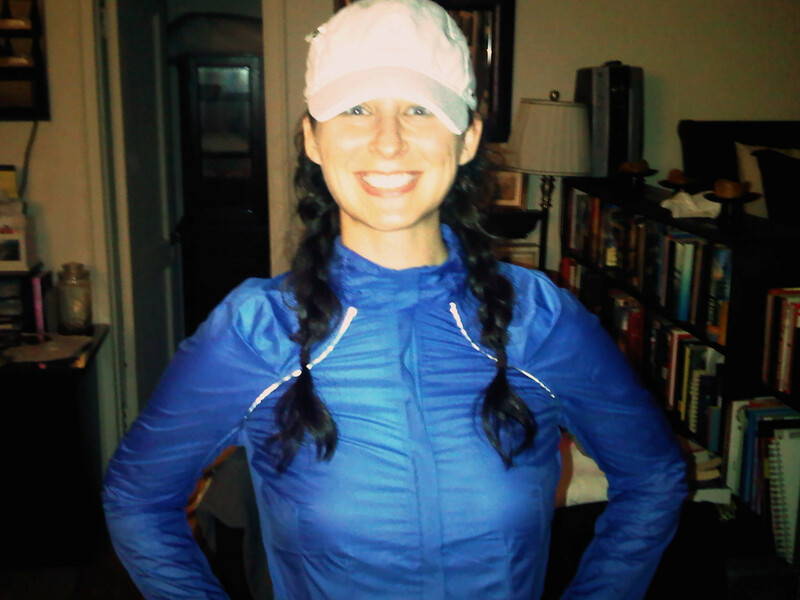 Turbo Tank, Speedy Run Hat, Run: For Your Life Crops & the very fabulous (and now unavailable) Run: Essential Jacket. Rain usually means a sweaty, humid run for me so I don’t like to layer it up too much under my jacket. 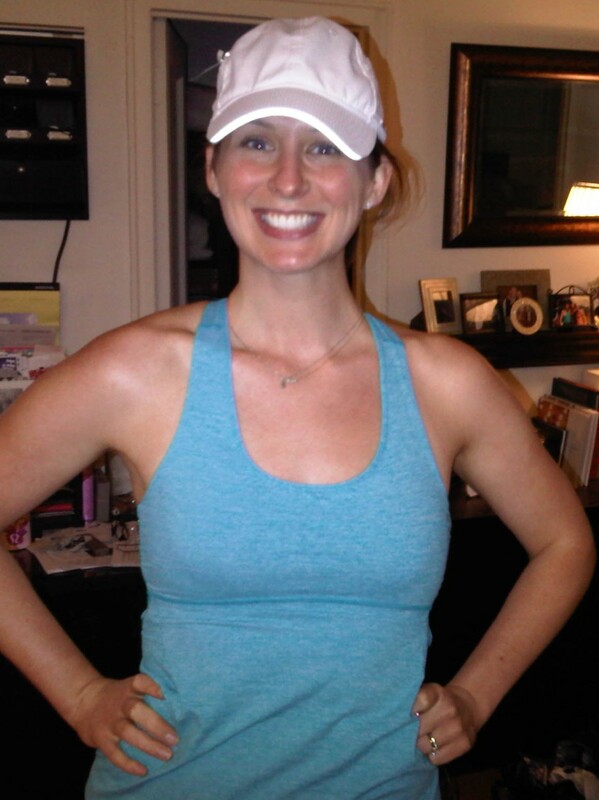 The hat is so key for me because nothing spoils a run like problems with my contact lenses. Also, braids for the win! Sopping. Soggy. Wet. Dirty. Basically unwearable. Dry overnight. #4. Treat it like a fun run. Don’t try and do a massive amount of speed work or some crazy mileage on a rainy day. Go out, do your best, get ‘er done and all that, but keep it light and don’t expect too much. Dodging umbrellas on 5th Avenue always slows me down, but if I plan for it, it’s not nearly as aggravating. #5. Just do it, already! Commit. Don’t complain. Don’t procrastinate. Get out there and run. Running in the rain is akin to reliving childhood moments so enjoy it!